With the summer months come warm temperatures and outdoor activities. Exposure to the sun can often wreak havoc on the skin and can lead to signs of premature aging like wrinkles and sunspots, and may cause dry skin and even skin cancer. With a little extra attention during these hot months, you’ll be able to enjoy all the fun that summer brings! We’ve made an easy checklist to guide you to effective summer skin protection! 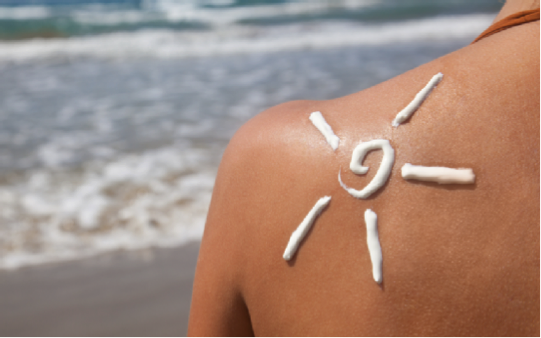 Always wear a water-resistant sunscreen or moisturizer containing an SPF of at least 15. You should make this part of your daily routine, year round. Make sure to apply sunscreen to all exposed skin. Special consideration should be given to cover all sensitive areas exposed to the sun, even the back of the neck and tops of feet! Make sure to re-apply sunscreen frequently, at least every two hours. Even though many brands claim to be waterproof, rub proof, or sweat proof, they still eventually wear off, leaving you susceptible to the sun’s rays. Tightly worn clothing helps deflect UV rays better than thin cotton T-shirts, especially if they are wet. Hats are also an excellent source of sun protection-the wider the brim, the greater the protection! And while certain specialty stores now carry clothing designed to ward off harmful rays, you may be able to use what you already have in your closet! Garments made of unbleached cotton, high-luster polyesters, and thin, satiny silk can reflect UVradiation, preventing damaging rays from reaching the skin. The hottest part of the summer day is from 10am-3pm. During these hot times, the sun is also at its most damaging. Try your best to schedule exercise and other activities for the cooler hours of the early morning or late afternoon or evening. Some latitudes advise avoiding the sun between 11am and 4pm. Know what is advised for your particular region and plan accordingly.